Wondering what is the best way to learn java programming? We have outlined the steps that can help you learn to code Java. You all must be aware of the fact that the first step towards learning something new involves finding out the best possible way in which to begin. This can be quite a difficult and time-consuming task and often becomes the deciding factor with regards to whether or not you continue with your pursuit. Finally, if you have decided to learn the Java programming language, at first, you might not be clear on where to start. This is where this article will come to your rescue. It will take you through various, time tested approaches, through which, you can learn Java in the most effective manner. Java is an application layer programming language and is not very difficult to learn. It does not require any prior programming experience to learn java coding. Learning Java can be really easy if you already know a programming language. The fastest way to learn java is to start learning by doing it. Not every person loves Java programming and hence, they will try their level best to deter you from learning the language. It is true that the world of programming is flooded with different competing languages and it is not really possible to pick the one which is the best. A language which works perfectly for you might not serve the same purpose for someone else. Hence, instead of paying attention to what the critics of Java have to say, you must focus all your attention on learning the language you picked. Although, it is very much possible to learn Java simply by installing the Java SDK the learning curve, in this case, is bound to be really slow. When Java SDK is combined with an IDE, it provides for an integrated development environment which will take care of all your needs and will help you learn quickly and more effectively. And among the different IDEs, Eclipse is undoubtedly the best and can be downloaded for free. - Click on Download "JDK". - Download "Eclipse IDE for Java EE Developers"
- Unzip the downloaded zip file in a folder. This should create a folder structure. The most logical way in which you can start learning Java is to start with the fundamental concepts. In order to learn the basics of this programming language, you can make use of a free tutorial or can simply download a good e-book. The whole idea is to understand what core Java is all about before moving on to the advanced levels. Object-Oriented Programming Concepts including encapsulation, abstraction, inheritance, containment, and polymorphism. Why Java is Platform Independent? Why it can be easily run on all operating systems like Unix, Windows or Mac? What is Java Virtual Machine? How Java Virtual Machine works? Good understanding of data types and few java.lang classes like String, Math, System, java.io stream concepts, etc. Try coding competition to evaluate your programming skills. Although, the online e-books, as well as tutorials, will help you learn Java in a very effective manner, looking at the language from the point of view of an expert will help you a great deal. For this, start reading books which have been penned down by expert Java programmers and professionals. This will help you gain an insight into the process of coding, as is done by experienced programmers. My choice of Free book is Thinking in Java You can also buy a printed copy of Thinking in Java on Amazon. In case you are looking for different good options, here are few awesome java books that I recommend. Compute factorial of a number. Read a file and display its content on the console. Create a file with some content. Read input from the user on console. find a string in the large text. Build a number pyramid of any size based on input size. Build an application to capture user details in a form, save the form detail in MySQL database using JDBC. Build a simple web-based Tic Tac Toe game that two players can play. Add authentication to the above game with allowing only users with username/password. These may be of two different types, namely, presentation-oriented or service oriented. Depending upon what you want, create an awesome web application by making use of web components you have learned so far. At this point, I would also recommend you to start looking into some of the good JSF frameworks like below, each of them may be a good fit for different needs. Finally, if you are a programmer, you cannot really get away with learning. This is because there is absolutely no place for obsolete professional skills in the world of programming. Hence, it is very important for a Java programmer to keep up with the latest trends in order to gain a competitive edge over others. And, the best way to do this is by putting newly acquired knowledge into practice. I recommend reading these Java and related Technology Sites and Blogs from experts Java is a programming language which can be learned for fun and also has the potential to make you stand out as an effective programmer. Hence, depending upon where exactly you want to reach, choose a programming language which suits you the best. This article is solely based on my personal Java learning experience over a decade and hopes you will be able to get benefited from my experience. I want be a Java Developer but I still could learn only Basic java I want to go through Advance which can make me increased in this field. This is something i been looking for!!! The info is good, but i am confused with struts, hibernate, springs... etc. my email id is "starvishnu_83@yahoo.com"
please tell me the exact learning curve. I am just in the beginning of the way towards Android programming and this post is very encouraging. Thanks! 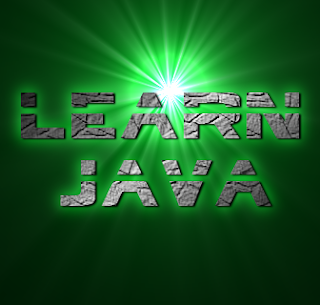 Very nice post , thanks for sharing this post with us and gave us a good information regarding learning java. Thanks.. Do you think there is any point in doing Java Certification? Logic is not difficult to learn. You need to practice and try to solve as many problems as you can. At the beginning you may not be able to solve it yourself. In that case take help from existing solutions. Most programmers learn it that way. After some time you may understand and start solving programming problems by yourself. Start with simple problems and gradually go for difficult ones.